Safety Wine: Sauvignon Blanc — the New Chardonnay? A recent WSJ wine column features Sauvignon Blanc, sometimes referred to as Fumé Blanc. Without providing any data, the writer seems to believe that sauvignon blanc is second to chardonnay in white wine’s popularity, ie. sales. Interestingly enough, according to this site’s wine poll, visible on the sidebar here, it’s 2nd, but trailing pinot grigio by a handsome margin. Probably reflecting this site’s younger readership, chardonnay isn’t very popular. There are a few explanations. There is the anything but chardonnay (ABC) backlash and the fact that inexpensive chardonnay doesn’t stack up well versus inexpensive pinot grigios or sauvignon blancs. I did share an excellent bottle of chardonnay a few weeks ago (2007 Mondavi — they make some good ones I guess). At $20 from the grocery I guess it wasn’t cheap — 2007 represented a strong year for Napa chardonnay. Personally, Sauvignon Blanc is my favorite wine and a near certainty when paring with most whitefish and some types of shellfish. It’s crispy acidity is a nice complement, without being overbearing. Add that to the fact that there are good bottles under $10 and it’s a winner. Note that I live in California and proximity to the vineyards probably lowers the cost of locally-grown wines. 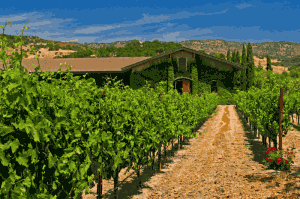 Regions that I favor are: Central Coast (Monterey County, Santa Barbara County / Santa Ynez Valley), as well as the always strong Napa and Sonoma Valleys. While I prefer dry, herbaceous wines, don’t be surprised if your bottle is a bit different, perhaps with a stronger oak influence. I won’t recommend any particular bottles, but test a few out and as long as you don’t try pairing with ribeye, there should be a bottle for everyone. I recently found out that I have high cholesterol and my sugar is a bit over what the doctor likes. I normally drink red wine, maybe 2 glasses per evening (10 oz). I also enjoy white wine. Any suggestions? I want to lower my cholesterol, but I would like to continue with an evening wine. I am a member of several wine clubs, Windsor Vineyards, Barclay’s, etc. I am open to some sane recommendations. Ted, Don’t sweat it. Wine isn’t going to wreck your cholesterol. There’s some anecdotal evidence that red wine (think tannins) can be beneficial, but overall I’d stick to the recommendation that you just simply stick to dry varietals to keep the overall calorie counts down. It doesn’t take a stretch to imagine how port could be bad, but the others should have a negligible impact. And an aside: fish oil (Omega 3s) can have some good effects on your cholesterol, specifically HDL/LDL ratios, so have your wine with some fish or grass-fed beef.